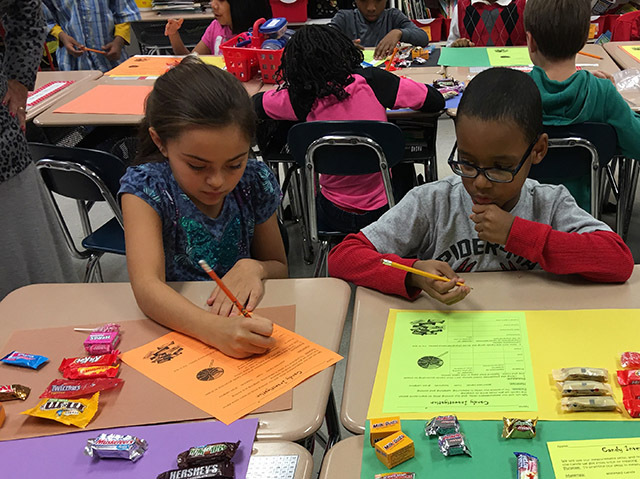 Do you remember sorting, classifying and trading Halloween candy when you were young? 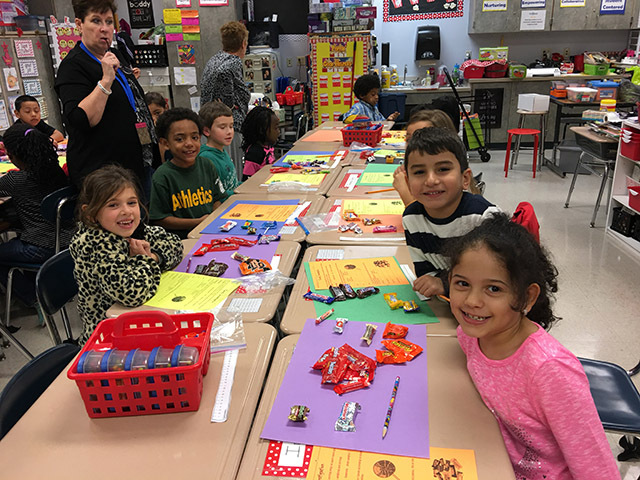 On Tuesday, November 1st, Ms. Roberts and Mrs. Robins' 2nd grade class at New Windsor School conducted a Candy Investigation. Children brought in candy from Halloween. 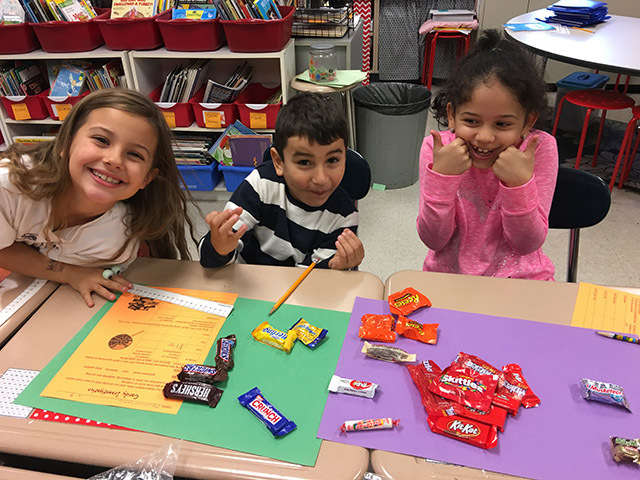 They worked in small groups and used their skills in classifying, sorting, measuring in centimeters, and learned how to find the mass of an object. 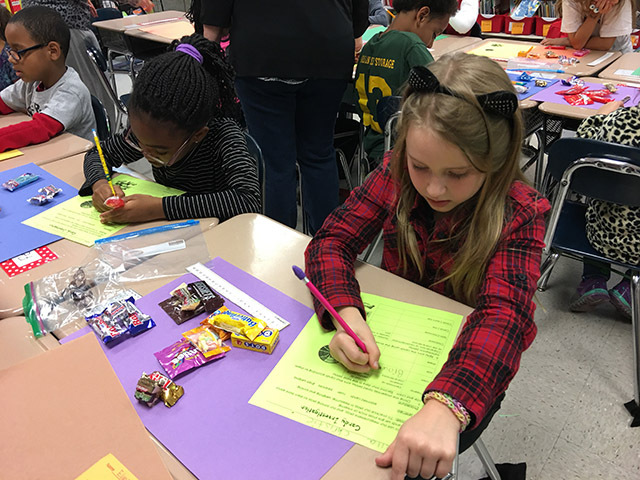 In addition, it was an excellent opportunity for the students to practice their reading fluency by reading to one another the name of each candy! Sweet treat!"